Battle of the Network Shows: Show notes: Episode 3: Happy Days, "American Musical"
Show notes: Episode 3: Happy Days, "American Musical"
*"American Musical" aired Tuesday at 8:00 P.M. May 26, 1981, and was the 22nd episode of Happy Days' eighth season. But it all started with Happy Days, his first regular acting gig. His role in 1984's Revenge of the Nerds is arguably his biggest movie role. In this series, the two crazy kids moved from Milwaukee to try to become pop stars, with Big Al and Mrs. Chaci starting a restaurant which conveniently provided opportunities to stage musical numbers. 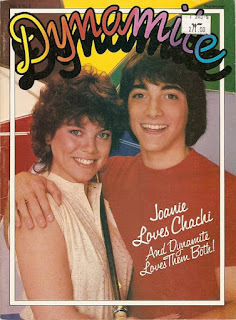 The show tanked when it returned in the fall, so Joanie and Chachi rejoined the "mothership" and their show was yanked. *Speaking of music, Anson Williams (Potsie) did not sing the show's theme song at any point, though his vocal stylings did become a frequent feature of the series. Potsie became assistant manager of Cunningham Hardware and stuck around throughout the series' entire run, but he was not in the series finale. *We talked on the podcast about how long Happy Days hung around. The series had more "finales" than a Peter Jackson movie. In season 11, an early two-parter, "Welcome Home," has Richie's emotional farewell from the series and would have been a natural closing. 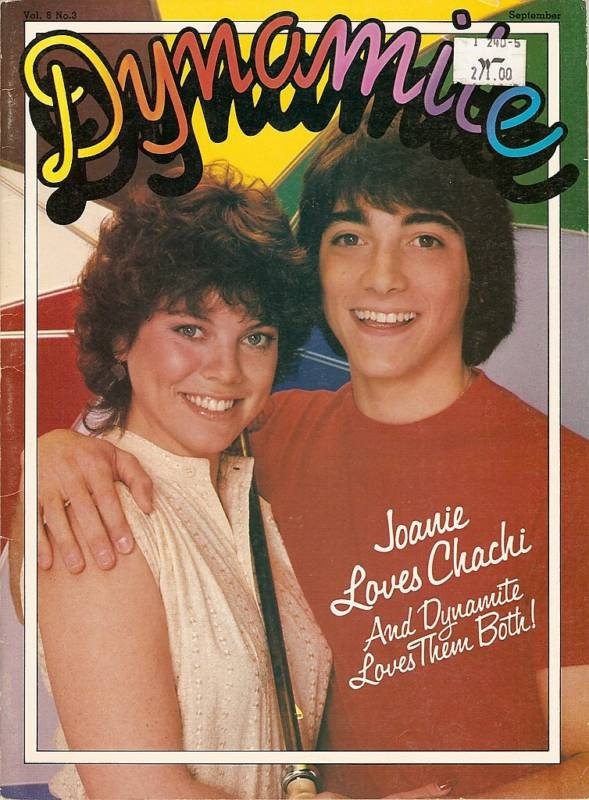 Yet there are 17 more episodes in that final year, including the two-parter called "Passages," which features Joanie and Chachi's wedding, plus Fonzie's adopting the "cute" kid who had become his sidekick. Fonzie, Roger and Chachi soon regret agreeing to help Howard Cunningham save his Grand Poobah position by becoming new Leopard Lodge recruits when they find out their pledge master is prankster Potsie "Sabu" Weber. I do not remember that one, but it sounds awful. So of course I want to see it. *The show is not seen as widely in reruns as it used to be, but it currently airs weeknights on Me-TV. 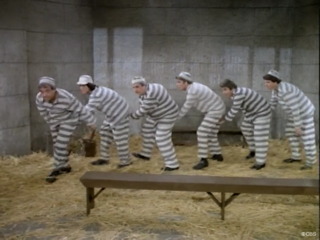 Currently the full series is not streaming, either, though this episode is one of the few (25 out of 255) on Hulu. CBS All Access has not added the show, and it's never been on Netflix. *The TV Guide game starts at 00:48:10.